On Thursday the 20th, we had our second FSFE Fellowship meeting in Aarhus, Denmark, this year. Our group is new; we had three Fellowship meetings in 2012, after which we had to take a year’s break until we resumed them in May this year. The plan is to have one meeting monthly on the third-ish Thursday of each month. 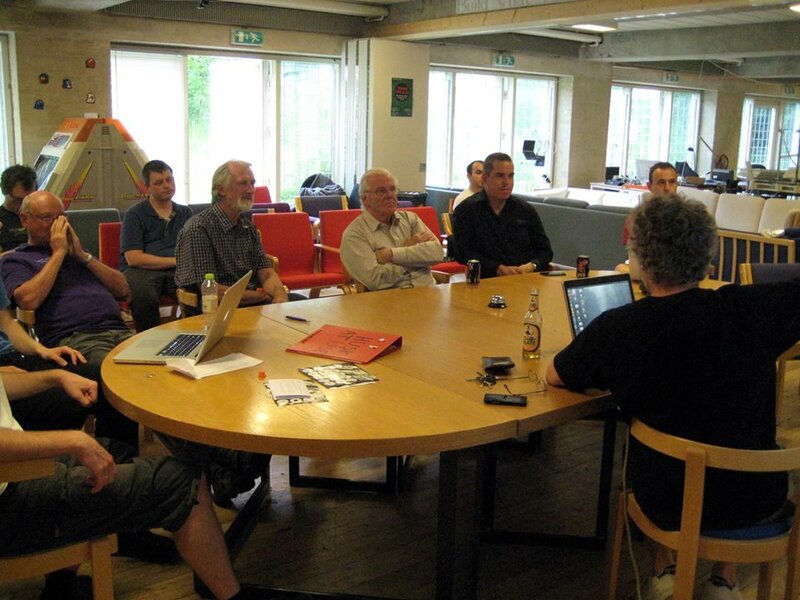 The meetings take place in Open Space Aarhus, which is the local hackerspace featuring a large and well-equipped meeting room. We were twelve people that day, which so far is a record. I gave a talk on BibOS, which is a customized Ubuntu installation which my company Magenta ApS is developing for the public libraries in Denmark. In the beta phase, the libraries were using Canonical’s proprietary Landscape product, but found it too expensive per seat and wanted a Free/Open Source replacement – so about half of my talk was dedicated to the Landscape-like remote admin system which we are also building. The talk was part of a deliberate strategy – we want to attract visitors by always having an interesting talk so people who don’t necessarily sympathize with (or care much about) the idea of software freedom will have a reason to come and hear about it anyway. Afterwards, we talked about an idea our member and co-coordinater Benjamin has about building a new web site in Danish to showcase free software success stories. Benjamin has lots of experience building nice sites in Drupal. We may be allowed to replace the current (nice, but unmaintained) content of OpenSource.dk. There was some discussion whether such a site should refer to the political and philosophical advantages of free software; in the end, it was decided to concentrate on the business aspects but include a well-rounded section on the concept of free software, which I offered to co-write. All in all, the meeting went very well, and I have a good feeling about this reboot of our Fellowship meetings. Our next meeting will be on Thursday, August 22, and if you’re going to be anywhere near Aarhus, Denmark that day, you’re most welcome to show up. This entry was posted in advocacy, Fellowship Meetings by agger. Bookmark the permalink. Sounds preety cool! And I like the location you’ve got. All the best for the future! Oh, and by the way, I had a look at the Fellowship page Aarhus and saw the links to the minutes. Are you aware that you can automate this by using the calendar? Have a look at e.g. Vienna (https://wiki.fsfe.org/groups/Vienna) You can use the calendar enry for the minutes and have a autogenerated list of previous events on the Fellowship group page. thanks for your comment! And yes, the location is a very cool place, I was a paying member of that hackerspace since it was founded in 2010 and am currently on its board. Very friendly place with a lot of software and hardware hacking activity. I’ll take a look at the minutes automation and see if we can implement it for our comming meetings.